In the last year, I’ve met several people who grew up in the area, but said they’re just now starting to explore beyond their childhood stomping grounds and neighborhoods. Part of that, they say, is due to how much Chattanooga and its surrounding suburbs have changed over the last decade. But there are just as many classic Chattanooga favorites as there are new favorites. It’s easy to forget about some of the classic Chattanooga eateries, but don’t pass them up, especially if you want true Southern cookin’. Bea’s Restaurant // Your classic Southern family-style dining. But don’t go on a Monday, because they’ll be closed. Rumor is they wouldn’t even open on a Monday for the President! Dub’s Place // One of the best burgers I’ve had in Chattanooga. They’ve been making juicy, melt-in-your-mouth crumble burgers since the 50s. Pay attention to their seasonal specials, too, like brunswick stew and pulled pork barbecue. Champy’s // Easily the best fried chicken in the city. Plus, you can enjoy it with a 40-ounce beer and a delicious cheese, pickle and sausage basket. Aretha Frankenstein’s // You might have to wait a while… I mean a while… for your pancakes, but they’re really delicious pancakes and totally worth the wait. You can find Aretha’s pancake mix at local grocery stores, but it’s not quite the same. Armando’s // It’s endearing to me that their menu has salads labeled as “the lite side,” and also that they have a note about receiving fax orders. All jokes aside, Armando’s is an absolute classic that should be on any foodie’s guide. Steve’s Landing // My friends tell me it’s well worth the drive out to Soddy Daisy to eat at Steve’s. It’s been in operation for more than 20 years, and guests love it for its ribs, catfish and waterfront boat parking. You can get international within Chattanooga city limits! From Greek to German and everything in between, expand your culinary horizons at any of these places. Opa (Greek) // I haven’t actually made it to Opa yet (it’s got some funky hours), but everyone says it’s delicious and charming. It’s owned by a Greek guy and the menu changes every day, based on what the chef/owner has available and feels like making that day. Tony’s, Red Sauce, Hummingbird Pastaria (all Italian) // If Italian cuisine is your thing, you’ve got your pick in Chattanooga. 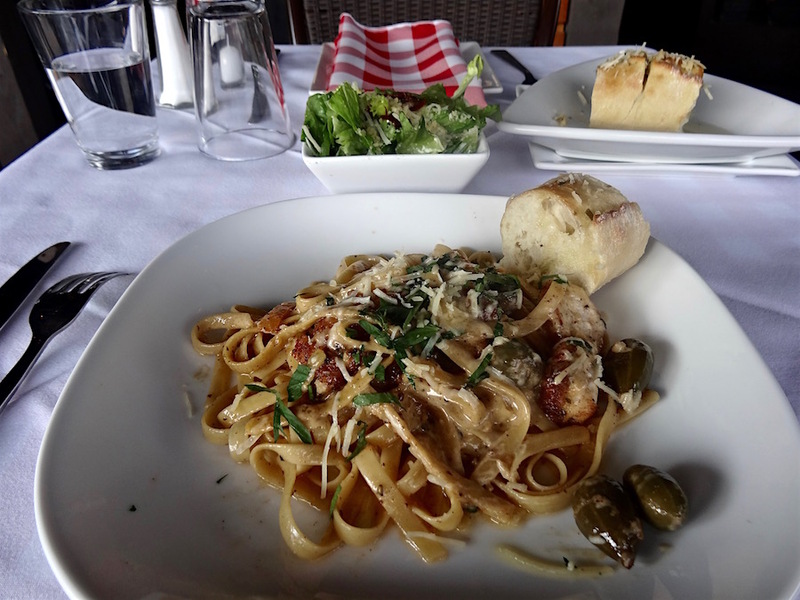 Nothing beats scratch-made pasta and other classic Italian fare, so you can’t go wrong at any of those places. If you’re into pizza, check out Community Pie, Fiamma, Pizzeria Cortile and Southside Pizza. Conga (Latin American) // From pupusas and empanadas to tacos and tamales, Conga offers anything you’d find in El Salvador, Mexico and South America. 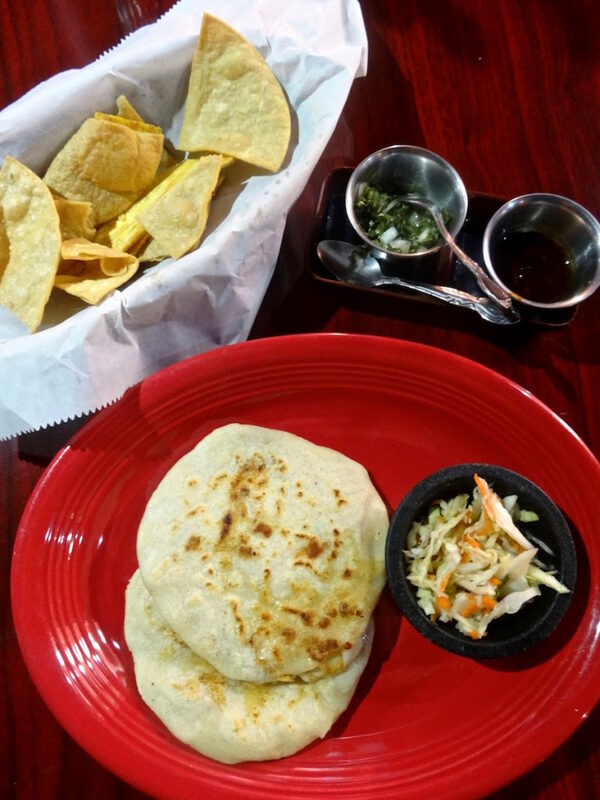 Their guava and cheese empanadas are to die for, as are the pupusas. Sweet Basil (Thai) // I’m not the biggest fan of Thai food (it’s too spicy for my taste), but this is the place to go for your Thai fix. Their menu ranges from pad thai, fried rice and various curry dishes. Brewhaus (German) // Outside of Berlin, the best schnitzel and spaetzle I’ve ever had. I’ve been itching to try their currywurst. Brewhaus also has a pretty solid brunch and beer selection (tap and cans). Two Ten Jack (Japanese) // Not going to lie, every time I go here, I have to Google items on their menu because it’s in Japanese, and I can never remember what anything is. Their pork gyoza pot stickers are quite delicious, though, as are their ramen bowls. If sushi is your thing, check out Totto Sushi or Sushi Nabe on the Northshore. These places may not look like much as you drive or walk by, but they’re worth the visit. Nikki’s Drive-In // If you’re thinking of those old-fashioned drive-in places from the 40s, then you’re thinking of the right place. 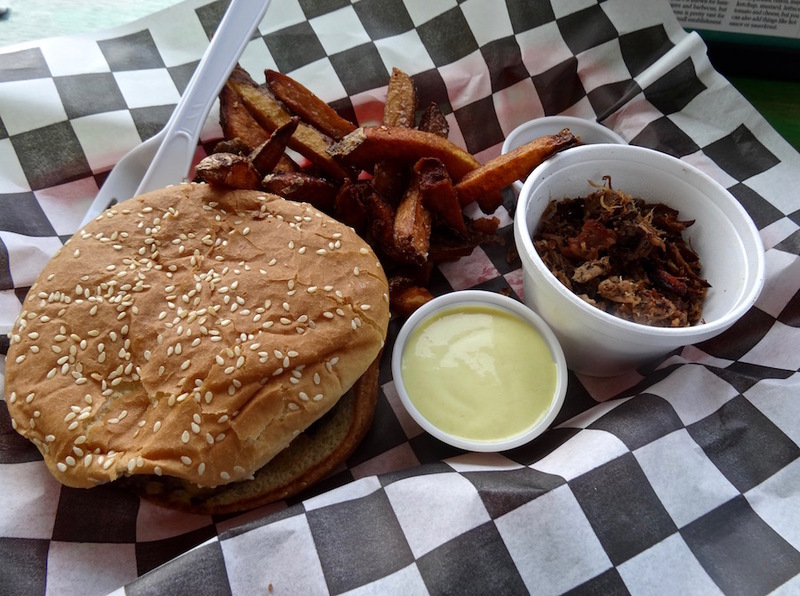 Stop by Nikki’s on Cherokee Blvd, right before the tunnel, and enjoy a burger, onion rings, hot dog or chicken in a diner complete with spinning barstools and an operating jukebox. Uncle Larry’s // Even its website says the fried fish is “so good, it’ll smack you.” The menu is heavy on the fish, but they do offer a pork chop, pork sandwich and chicken “fritters” for those who aren’t big on the fish. Lillie Mae’s // It’s just like eating at Grandma’s house. It’s reasonably priced, especially for the amount of food you get, and dripping in Southern charm. Check out their daily specials—ranging from fried chicken and meatloaf to spaghetti and stuffed bell peppers—and enjoy one of those with two sides, bread and a drink for under $6.95. Shuford’s BBQ // As picky as I am with barbecue (#NorthCarolinaGirlForever), Shuford’s is the best you’ll find in the Scenic City. These people know how to smoke a good pig; you can smell it right as you pull into the parking lot. Even if you don’t have the biggest sweet tooth, it’s hard to pass up some of the best dessert spots in Chattanooga. Though, what foodie doesn’t have at least a little bit of a sweet tooth? 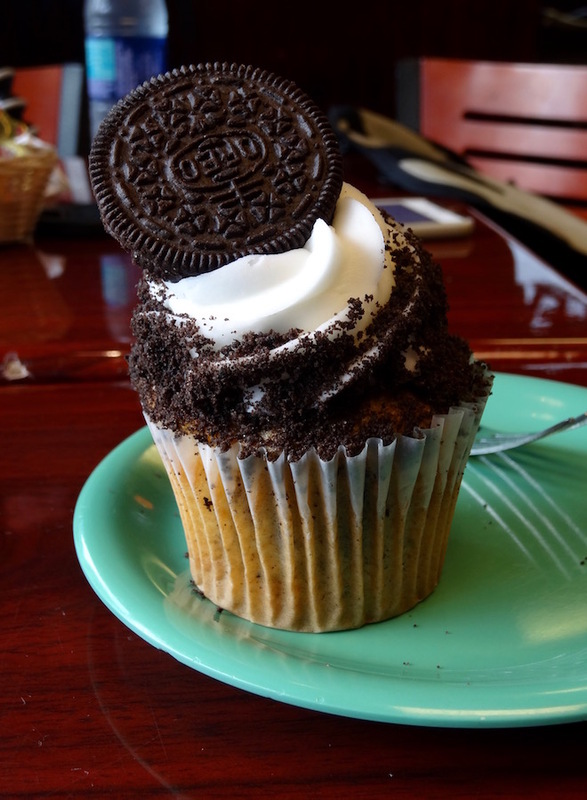 Cupcake Kitchen // With more than 20 cupcake flavors available each day, it’d be impossible to not find a favorite. I’m super fond of the cookie dough, classic vanilla and red velvet cupcakes. If you’re up for a real treat, try one of the jumbo ice cream filled cupcakes. Clumpies // When I want ice cream, Clumpies is exactly where I’m going. All of their many, many flavors are handcrafted daily with the freshest ingredients, just as they’ve been since the 90s. While their classic ice cream flavors—sweet cream, French silk, cookies & cream, mint chip and the like—are all phenomenal, just wait until you try their seasonal flavors. White chocolate peppermint is a perfect wintry treat, and I love their whiskey pretzel crunch in the spring. The Hot Chocolatier // It’s exactly what it sounds like: gourmet hot chocolate (in all kinds of flavors), truffles, cakes, gelato and other fancy desserts. 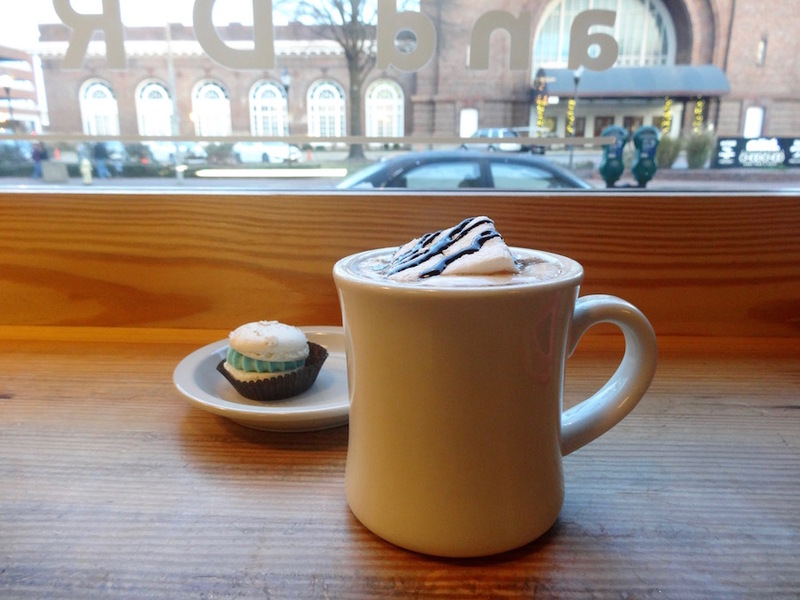 If you get a cup of hot chocolate, get it with a homemade marshmallow. It makes all the difference in the world. Let’s call this the “miscellaneous” category, a.k.a. my other favorite places to eat and drink in Chattanooga. Public House // I’m usually not big on fried pickles, but I’ve been known to eat PH’s pickles and pimiento cheese appetizer as my meal. Their fried chicken is also superb, as is the pot roast and grilled pork tenderloin. Pie Slingers Pizzeria // Venture down into Rock Spring, Ga., and enjoy a pizza pie on an incredibly fluffy but thin crust. While you’re waiting for your pizza, enjoy some arcade games and/or a beer brewed by Phantom Horse Brewing Co., which is part of the same building and operation. 2 Sons Kitchen & Market // Chef Nathan Flynt knows what he’s doing, y’all. His biscuits & gravy are divine, as is the fried chicken biscuit. Many menu items, such as the Midnight in Saigon and Turkey Katherine sandwiches, are favorites from Chef Nate’s former food truck, Famous Nater’s World Famous. The FEED Co. Table & Tavern // I wasn’t going to write this whole post without mentioning FEED Co. Whenever my parents visit, they always ask to eat at FEED and enjoy rustic Southern cuisine prepared by award-winning chef Charlie Loomis. Don’t pass over their beer, wine and cocktail lists, either. Mean Mug Coffeehouse // Now with TWO locations in Chattanooga – the original Southside location and its newest on the Northshore. Go in the morning for a latte and breakfast, or grab a sandwich or quinoa bowl for lunch. I’m a huge fan of their breakfast biscuit, but don’t pass on their giant apple butter cinnamon roll, either. 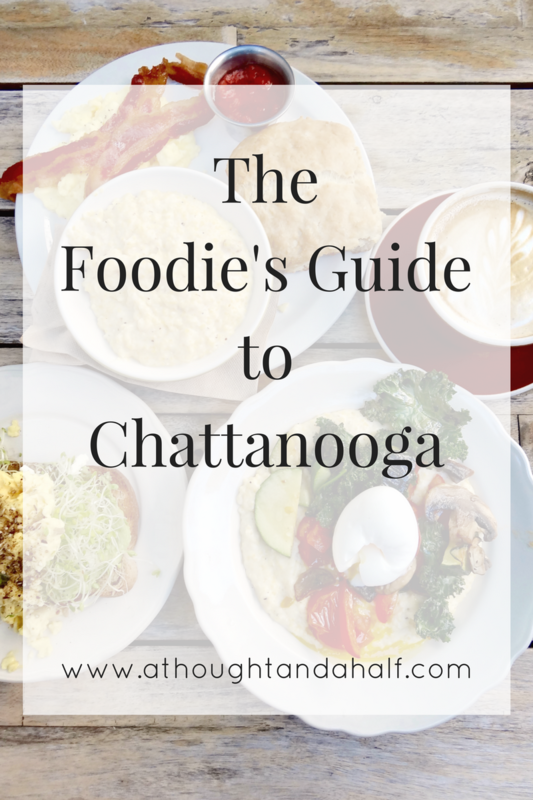 If that isn’t enough, check out my Chattanooga Foodie Bucket List for even more awesome places to eat and drink in the Scenic City. Chattanooga also has some really awesome coffee shops, so be sure to check out some of those, too. What kinds of restaurants do you like to explore when visiting a new city? What other Chattanooga restaurants would you recommend?